These containers are wonderful. I replaced a number of worn out plastic containers with this set. Over the past weeks I have used them for everything from storing leftover canned tomatoes to moving my son’s fish across town. The set comes with 4 sizes of containers. Each container seals nicely and air can be removed via a one way valve to help reduce oxidation. It does help, but does not produce as much of a vacuum as a vacuum sealer does. 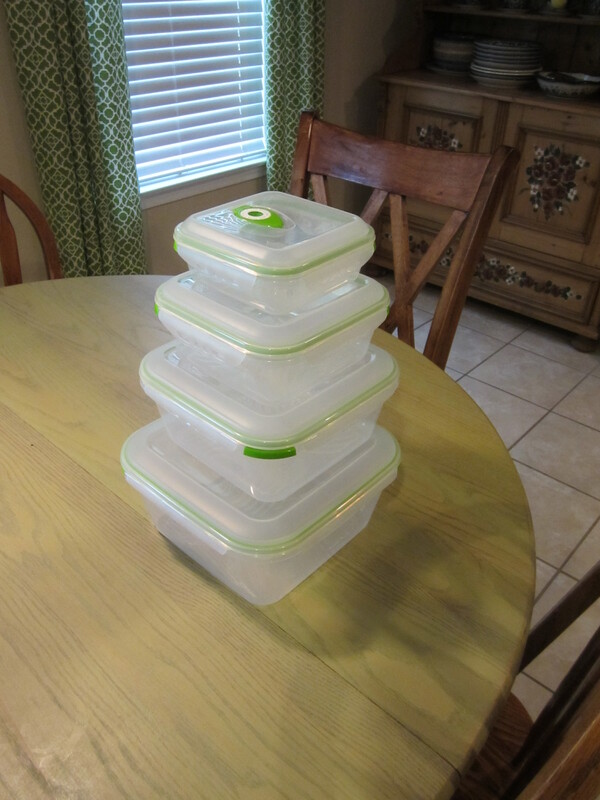 The containers have a latch on all four sides which is great when I used the smallest one to put a dipping sauce in my son’s lunch for school one day. My one negative is the largest container. I have not found a routine use for it. It did do an admirable job of getting my 8 years old’s fish to and from school for show and tell without spilling a drop, but it is really too big for our refrigerator (just takes up to much space) and I have not had enough leftovers to need to store in something that big. All in all I recommend these containers. 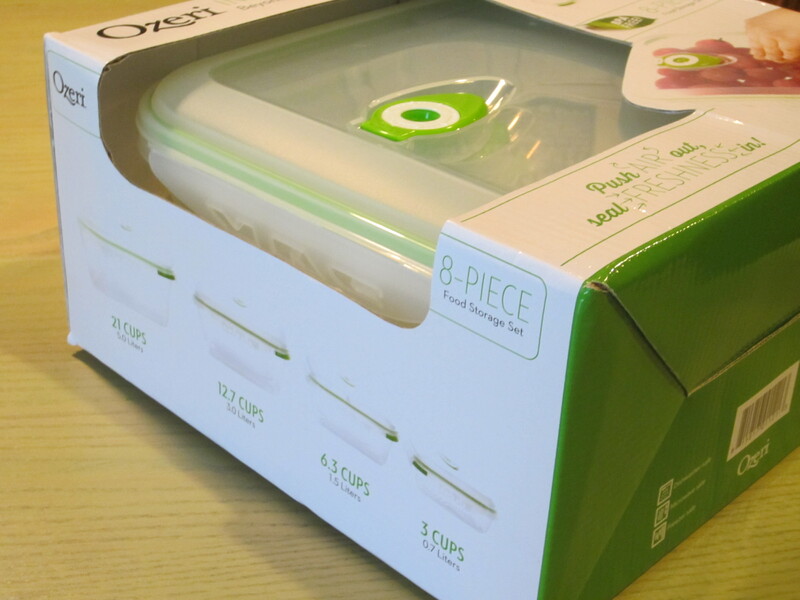 If you would like to purchase these containers on Amazon please use this link. This product was received as a media sample.